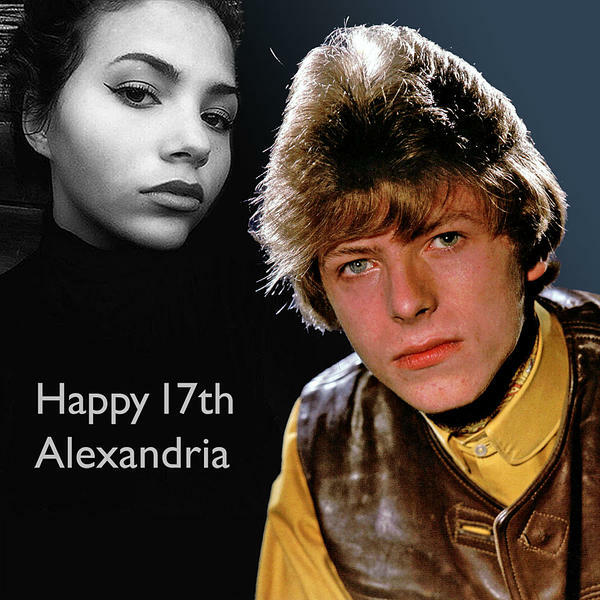 We’re sure you will all want to join us in wishing many happy returns of the day to Alexandria Zahra Jones on her 17th birthday. Lexi is 16 in this picture, which was posted by her mother, Iman, last year. The colour pic (by DEZO HOFFMANN) is of her father, Davie Jones, in 1964, an ambitious 17-year-old King Bee himself with a very bright future ahead of him. Happy Birthday Lexi, here’s wishing you a similarly bright future with love ‘n stuff from everybody here. FOOTNOTE: Congratulations are also due to Iman on becoming a grandmother, with the arrival of baby Lavinia Rose Young to Iman’s daughter Zulekha and her husband Jason.